I’m all about making healthy living easy! In order to maintain that, the foods I keep in my house are healthy and easy. Here are a few of my favorite healthy foods that are almost effortless to incorporate into your diet. 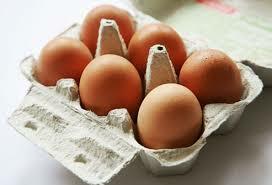 Eggs: My wife is constantly shocked by how many eggs we go through. I eat them almost every day. Its hard to find another full meal you can cook in under 5 minutes that is delicious, contains 24g of protein (4 eggs), and will keep you full for hours. Spinach: It’s not that I love the taste of spinach…let’s be honest, it tastes like a tree. It’s just SO easy. I add spinach to my meals whenever I can to make sure I am getting my daily dose of fiber, potassium and magnesium. 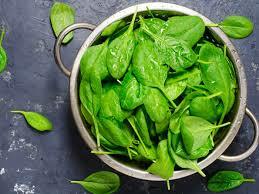 You can easily fit spinach into your diet by adding it to eggs, pasta, smoothies, sandwiches and well, almost anything! Peanut butter: I love peanut butter! When I am hungry and need a little pick me up, I go straight to that jar of PB. Take a spoonful to get an extra 7 grams of protein and some fat to keep full until dinner time. Be careful of the brand you choose, a lot of them contain added sugar and artificial sweeteners. The only ingredient you should see on the label is peanuts. Dark chocolate. I am sure I am not the only one out there with a sweet tooth. Dark chocolate has far less sugar than milk chocolate and contains antioxidants that will prevent inflammation, lower blood pressure, and improve vascular function. Fruit: I hear far too often that fruit is unhealthy because it contains sugar. I call Bulls**t.
Fruit may contain sugar but it is also loaded with vitamins and most contain fiber, which helps the body process sugars in a healthy way. This is the reason juice can be considered unhealthy. Yes, even cold pressed juice. It is loaded with sugar, without the good stuff to help your body process the sugar. These are a few staple foods I eat on a regular basis to help maintain a healthy lifestyle with very little effort.